If you're like me, you struggle to think of ways to make your gifts a little more unique and show that you've put a lot of thought into them. As I was working on this years list of 150 NEW Stocking Stuffer Ideas, I came across lots of little, unique ideas that that can really make your gift stand out. Gift wrapping is important. Using personalized labels and special paper can really jazz up a gift. You can find both on Etsy. Just use the search tool. They really add a pop to your gifts! 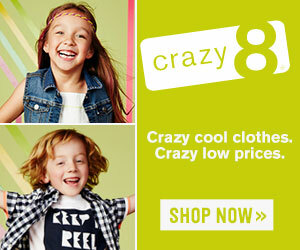 Be sure to watch for deals on Zulily too. Lots of gifts can be monogrammed. 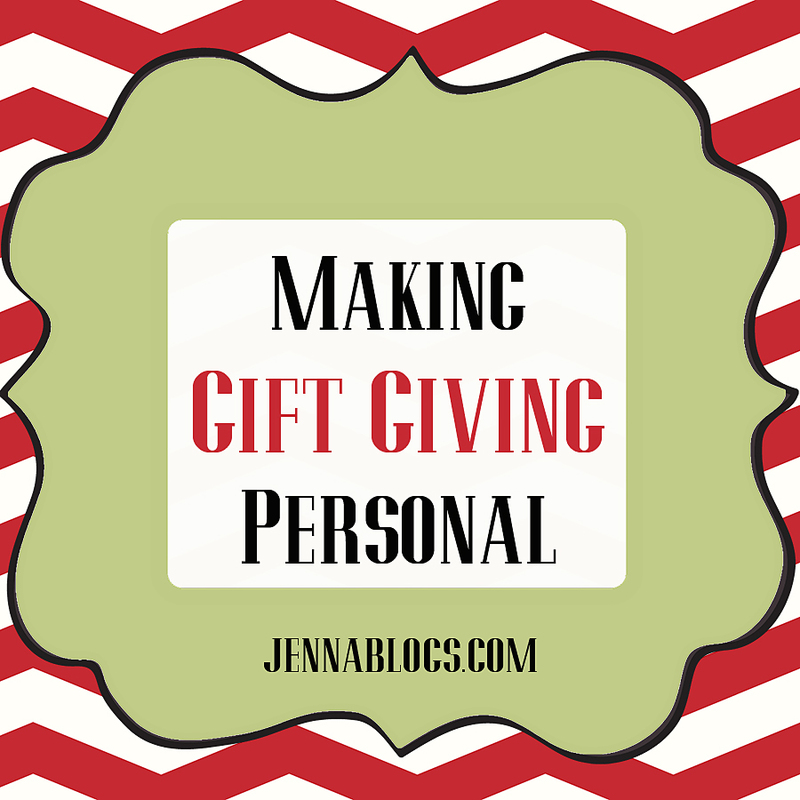 In my opinion, personalizing a gift shows that you went the extra mile to make it special for that one person. I've got a ton of ideas for gifts that can be monogrammed, with links to them, on my original 150 Stocking Stuffers post as well as this years 150 NEW Stocking Stuffers post. Homemade mixes, sauces and soups are popular gift items. When giving these you've got to take it up a notch! Use cute fabric and a mason jar with twine to hold your mix. Add a handmade tag and attach it. Use burlap and greenery if you can. If you're not crafty, go to your local craft store anyway. Hobby Lobby sells cute tins that can be jazzed up with a tag attached with twine for a rustic look. If you're giving a tray of goodies as a gift, think about including a recipe for one of your special treats. If possible, writing it out yourself on a cute recipe card would add a very personal touch! If you're typing it out, think about cutting it out with decorative scissors and attaching the recipe with bakers twine. I hope these ideas will get your creativity flowing! 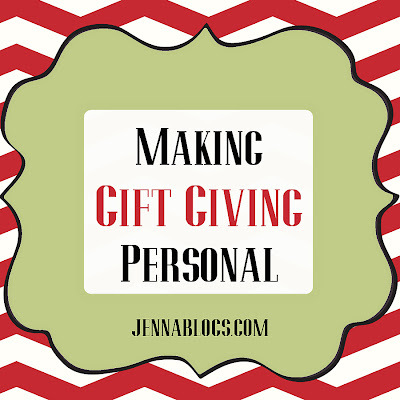 What are some of your favorite ways to make gift giving even more personal? Follow me for more great tips! 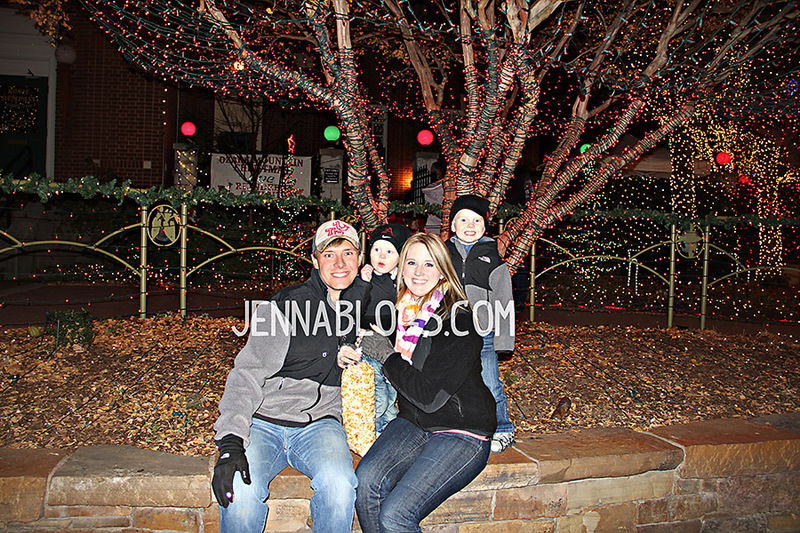 This past weekend we decided to take the boys to a local town square that does a big light display. Brody is SUPER into Christmas lights this year. He gets excited every time he sees them...even if it's during the day and they aren't on! He yells, "Christmas Wights!" and points exaggeratedly. We didn't know that Santa would be at the square this year, so they were dressed warm, and not super cute, ha! That's okay. We will take them again when they are in cute winter sweaters or something. Brayden was in awe. He just stared and smiled at him, which, if you know Brayden, is huge. This child is NEVER speechless! Brody just wasn't too sure about him. He didn't cry, but he also didn't smile. Outside was "Rudolph" - thats what we called him anyway. They kids were able to pet him and talk to him. I think they were more excited about him than Santa. Probably because every night they watch Santa feed the reindeer online. Click here for more info on that! It's a free website. Another picture with the lights. We also got kettle corn and the kids rode ponies. We had a great night! Do you have something like this in your town? I had talked about this recipe on Twitter, and so many of you expressed an interest in it that I decided to blog it. It's one of those festive little numbers that always ends up at our holiday tables. It's not hard - in fact, it's one of the easiest things my family does for Thanksgiving and Christmas. It's a fun one to get the kids involved in as well. They can strain the pineapple, stir the apples into the pineapple, add the water to the juice to equal the 3 cups needed, etc. And when it's time to add the fruit to the mixture, it's fun for kids to stir it in. Set a strainer over a measuring cup that can hold at least 3 cups. Drain the pineapple as well as you can, capturing the juice in the cup. Meanwhile, chop apple into a small dice (do not peel). Put drained pineapple and diced apples into a tupperware container. Stir well - the acidity in the pineapple will prevent the apples from turning brown. Cover and place in the fridge. Add water to the pineapple juice until the total combined amount equals 3 cups. Pour into a saucepan. 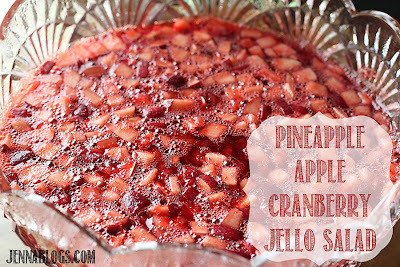 Bring to a boil and then add gelatin. Stir until completely dissolved, about a minute or two. Turn heat down to lowest setting and add in cranberry sauce. Whisk until dissolved (cranberries will remain whole). 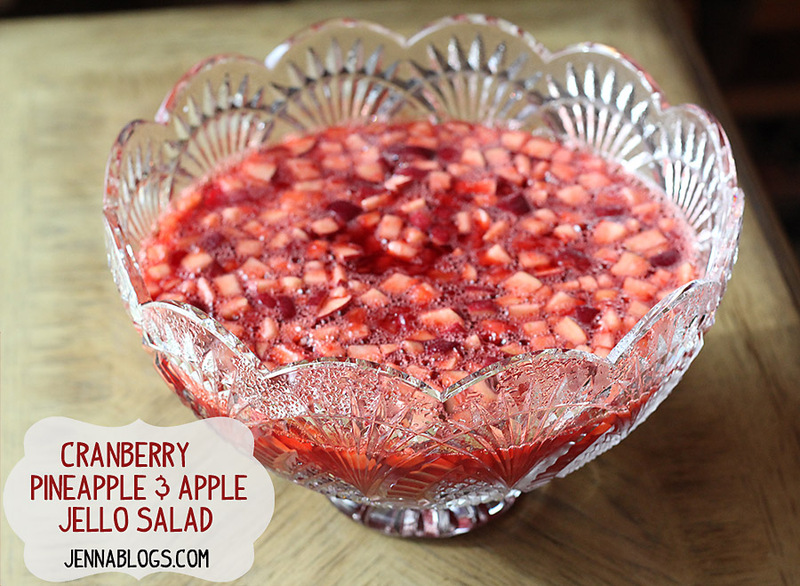 Pour into a serving bowl and place in the fridge. After 90 minutes, jello should be the consistency of egg whites. At that point stir in fruit. Let continue to set up for a few more hours. Serve cold. Edited to add: I was asked about serving size...that's hard to say. I double this if I'm making it for more than 8 adults. For 8 or less, I don't double it and usually still have a little left over. Today is Brody's second birthday!!! 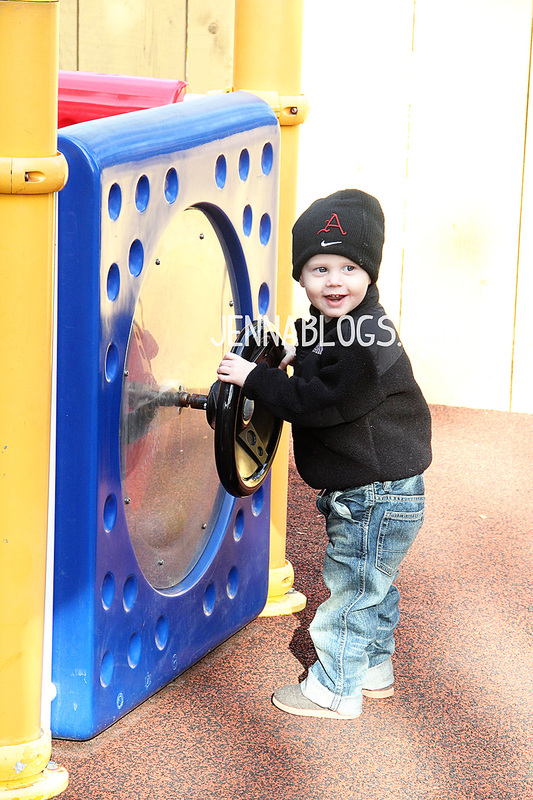 I can't believe my littlest man is two today! Brody is the sweetest little guy. His favorite thing to do is play at Chuck-E-Cheese and Chick-Fil-A, so for his birthday party last week, we went to Chuck-E-Cheese. Today, for his actual birthday, we took him to Chick-Fil-A. He has a blast playing with his brother on all of the games. His birthday party lunch was at his other favorite place, Mellow Mushroom. He got lots of new Razorback stuff for his new room. He LOVES football. He absolutely flips out every time he sees anything with a Razorback. At our grocery store, they have little Razorback stickers running across the meat case, and I almost can't talk to the butcher over his yelling, "football! football!" - You love fruit. When we go to Chick-Fil-A I always get you a fruit cup for your side! - You love VeggieTales and Bubble Guppies. For your birthday, I got you several Veggie Tales toys and DVD's. - You hate wearing shoes in the car. I almost don't put them on you because you immediately take them off! - You LOVE Christmas lights. You flip out every time you see them and start screaming, "Twist-mas Whites!" - You say the word "hot" like you are from New Jersey. It's hilarious. - You love your "Mimi" - you ask for her every day. You also still refuse to call her by her name (Grammy). You often correct me when I refer to her as Grammy. - Your favorite stuffed bunny has fallen apart but you won't give it up. I got you a replacement bunny that you carry around with you all day but you still sleep with the original bunny. 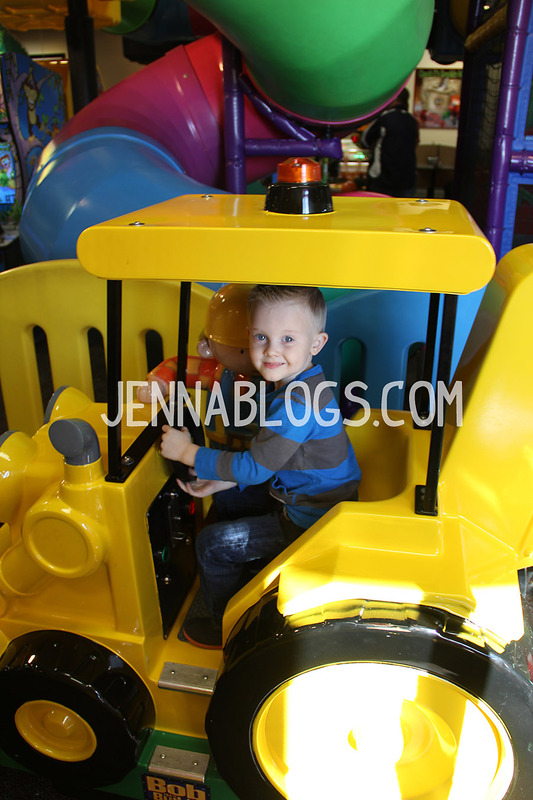 - You yell, "John Deere Green" every time you see any piece of equipment on the road. - You love Buster (one of our dogs) and give him treats every day. 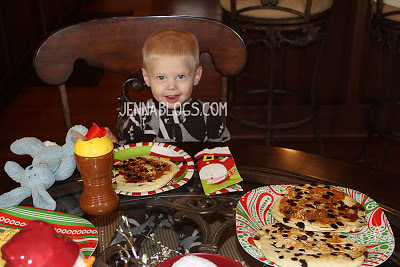 You are so sweet and we can't believe how fast the last two years have gone! Mommy and Daddy are so blessed to have you in our lives! My little turkey had his Thanksgiving program last week and he wanted to wish you all a happy Thanksgiving! 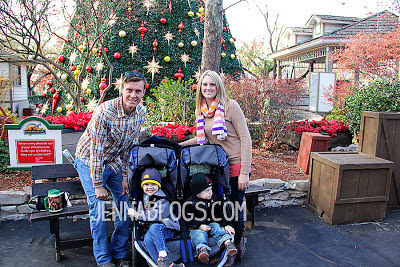 This Sunday, Chris and I decided to take the boys to Silver Dollar City. They have their Christmas lights up and the boys love Christmas lights. We go out almost every night starting this week to look for cool displays. I posted some of our favorites last year here. First, we went to the outlet mall in Branson for a little Christmas shopping. We weren't the only ones with that idea! It was crazy! It ended up taking forever just to find a spot, but we eventually did. They kids get to ride the little mechanical toys outside and they love it. 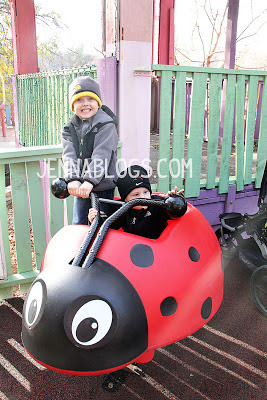 Next we headed over to SDC. They have this HUGE play area for kids. It's like 4 or 5 stories tall. The kids love it! They also have little plays going on all around. We stopped and let the kids watch a production of "Frosty." They had incorporated some songs from Veggie Tales so Brayden was singing along. 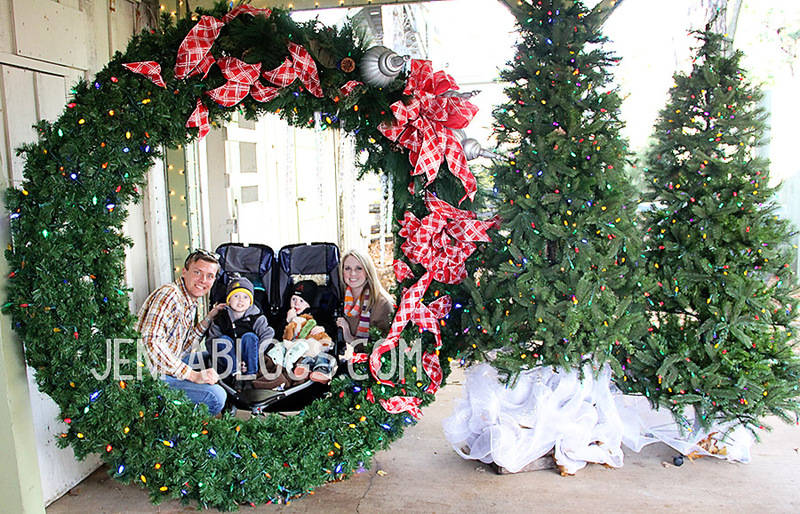 I don't know if this huge wreath was meant to be a picture taking spot, but we turned it into one! My sweet little Broder man. After all that playing and no nap, Brody was SUPER cranky. It's funny - at the end of the day, we came to look at the lights and that's the one thing we didn't end up getting to do! Oh well. The kids had fun and that's what mattered! I hope you all had a great weekend! What did you do? I love this post because it's all about one of my favorite things - FOOD! 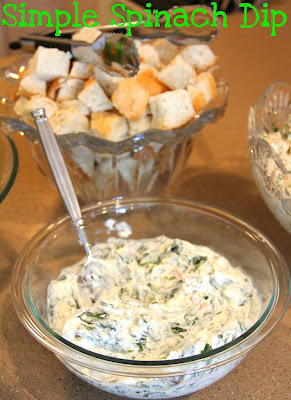 I've put together a list of a couple of appetizers, side dishes and desserts that aren't your traditional Thanksgiving food but something that you might want to give a try this year! This is such a delicious appetizer. If you don't make it for Thanksgiving, then you have to save this one and make it for something else. It's just that good! I call it Sin Dip, but it's called a multitude of names. It's a mixture of cheese, ham and scallions. It's delicious! Find this one here. This is our families staple. Everyone makes this for any and every occasion! Thanksgiving is no exception. If you don't really cook or if you're making a ton of stuff and just want a simple appetizer that everyone will love, try this crowd pleasing Simple Spinach Dip. This is my husbands favorite side dish. It may not be traditional, but everyone is sure to love it. 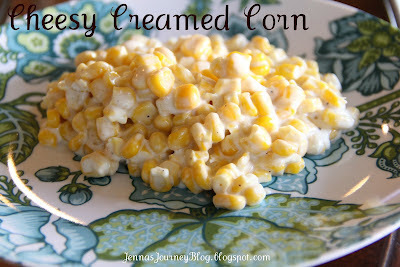 Give Cheesy Creamed Corn a try this year! 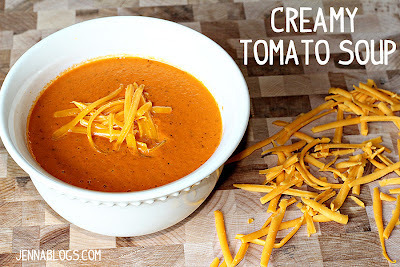 Another not so traditional, but super yummy recipe is this Creamy Tomato Soup. There is a restaurant here that I love that tops their tomato soup with cheddar, so that is what I do as well. This is a very easy soup recipe that everyone will love! 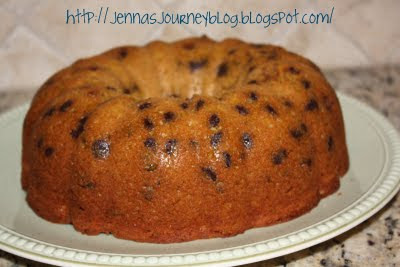 Here is a delicious spin on a pumpkin recipe...you have GOT to make this Pumpkin Chocolate Chip Bundt Cake. It is out of this world if I do say so myself. ;-) I will be whipping this up this week! Here's another not so traditional (hey, it's not pie!) but really yummy AND impressive recipe! 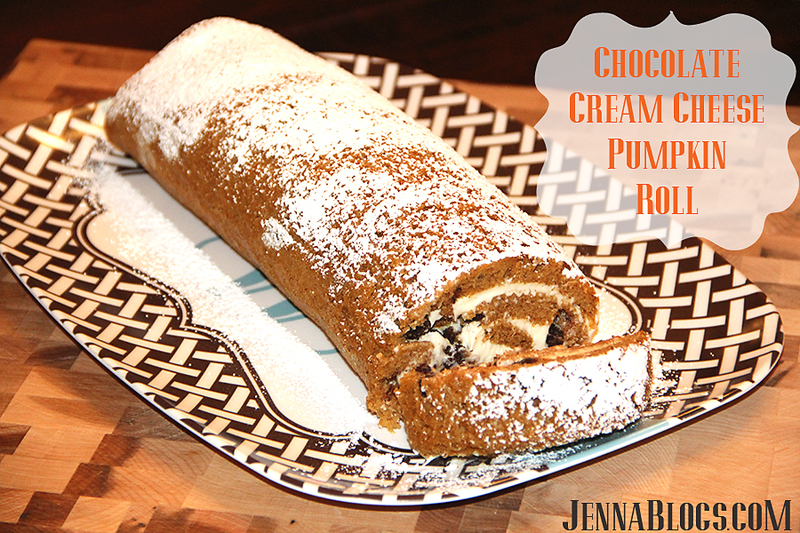 My Chocolate Cream Cheese Pumpkin Roll is easy, delicious and pretty to look at! I give you step-by-step instructions, so don't fear the roll! 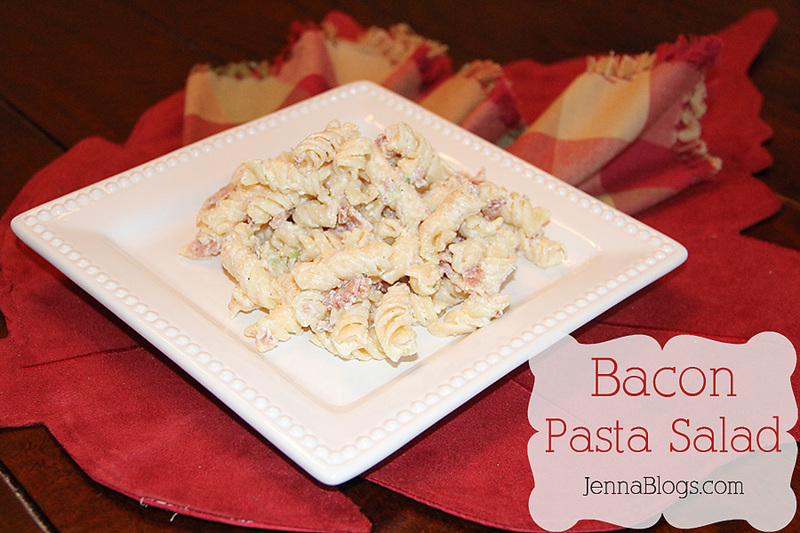 Here's a recipe I've been working on - in fact, I mentioned it when I posted my Artichoke Chicken Pasta. I kept forgetting to take pictures, but I made it again yesterday and finally remembered! 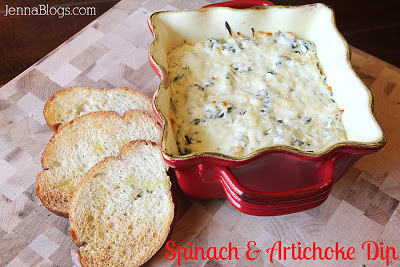 This one is tested and approved by my mom - we are spinach dip connoisseurs! Haha! Mix all ingredients, using ½ cup of the mozzarella. Pour into a baking dish, top with ¼ cup of mozzarella and broil at 400 until warmed through and browned on top. I like to serve this with crispy, crunchy, French bread. Just drizzle thin slices with olive oil and put in a 400 degree oven for about 15 minutes or until lightly browned and crunchy all the way through! I'm a big fan of soups, chowders, chili's, stews and the like during the fall and winter months. 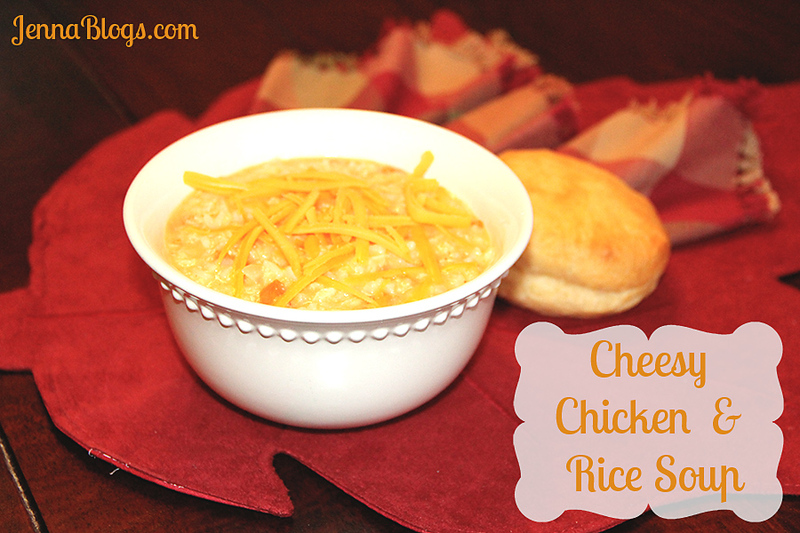 Recently I stumbled across a recipe with a great idea - taking chicken and rice and making it into a cheesy soup. I made several changes to this recipe to bump up the flavor even more and I hope you'll try it out! If you aren't using leftover rice, cook your rice first. I used minute rice. Set aside once cooked. In a saute pan, over medium heat, add 2T olive oil. Add onions and carrots. Saute, stirring occasionally for about 10 minutes, and season them with salt and pepper as they cook. Add garlic and saute 1 more minute. Remove from heat and set aside. whisking until there are no more lumps. Reduce heat to low. 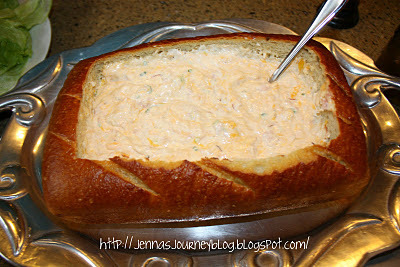 Add in the cheese and hot sauce continuing to whisk until the cheese is completely melted into the mixture. Add in chicken, rice and vegetables. Mix well. Add in more broth until you reach the consistency you like (I added in the whole 2nd container). Lastly, stir in the sour cream. Serve hot! The other day I was contemplating pasta salad and the fact that I really wanted some. But I didn't have half of the ingredients for my mom's pasta salad so I decided to poke around and see what I did have. 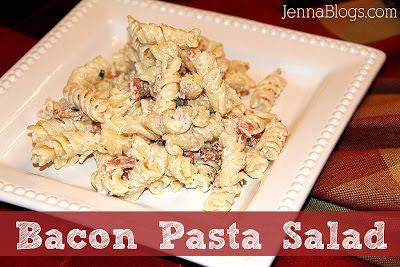 And bacon pasta salad was born. Make this. You will thank me later. Cook pasta in salted and oiled water, according to package directions. Once cooked, drain, put in a large bowl and pour milk over it. Stir well. Meanwhile, cook 12 strips of bacon on the stove top or in the oven. Once cooked, chop well. Meanwhile, in a small bowl, whisk together sour cream, mayo, garlic, onion powders, salt, pepper and green onions. Add bacon and sauce to pasta, stir to combine. Serve immediately and refrigerate leftovers. How was that for a pep talk? Haha! Seriously though, they are intimidating. The thought of flipping around a huge cake several times, while it's hot, then rolling it up in a towel?! I avoided these for years because I knew that if it broke or didn't work out then I would give up on them forever. I think I've got a fool proof system here. At least, I've never had one break or not work out. So, if you're scared, give this one a try - of course, I can't guarantee it will work for you, but it's never let me down! Preheat your oven to 375. Spray a cookie sheet with non stick spray and then line it with parchment paper and spray that with non stick spray as well. Beat eggs and sugar in a mixer until well combined. Add pumpkin and vanilla. Beat until well combined. In two additions, add your dry ingredients. Bake about 15 minutes, or until just done. Removal of the cake: Here's the tricky part. You CAN do this! Take another baking sheet of the same size (preferably the same type of cookie sheet). Set it carefully on top of the cake. Using hot pads, flip the whole thing over. Now you should be looking at the bottom of the pan that has the cake in it. Remove that pan. You cake will be sitting on the back of the other pan. Remove the parchment paper. Take your cake (while on the back on pan #2) and quickly flip it out onto the towel. Now the bottom of the cake - the part without the chocolate - will be resting on your powdered sugar towel. Phew! Aren't you glad that parts over? PS - If you have a friend or spouse there with you, here is another way you can do that last step. Instead of the towel, coat the backside of the cake liberally with powdered sugar. Cover with the towel and using a friends help, flip the whole thing over. That feels a little "safer" but you need a second set of hands. If you forgo the chocolate, you can always just slide the cake out onto the towel like you would an omelet. Now, roll the cake up in the towel, narrow end to narrow end (NOT long ways). Put it in a tupperware and place it in the fridge while you work on the icing. In a mixer, beat room temperature margarine and cream cheese together. Add your vanilla and then powdered sugar. After letting the cake cool for about 30 minutes - 1 hour, take it out of the fridge and carefully unroll it. Coat with icing and then roll the cake back up (not in the towel this time). Roll up tightly in saran wrap and put it back in the fridge for a minimum of one hour (preferably longer). When ready to serve, top with a dusting of powdered sugar. Slice with a bread knife (serrated edge)! 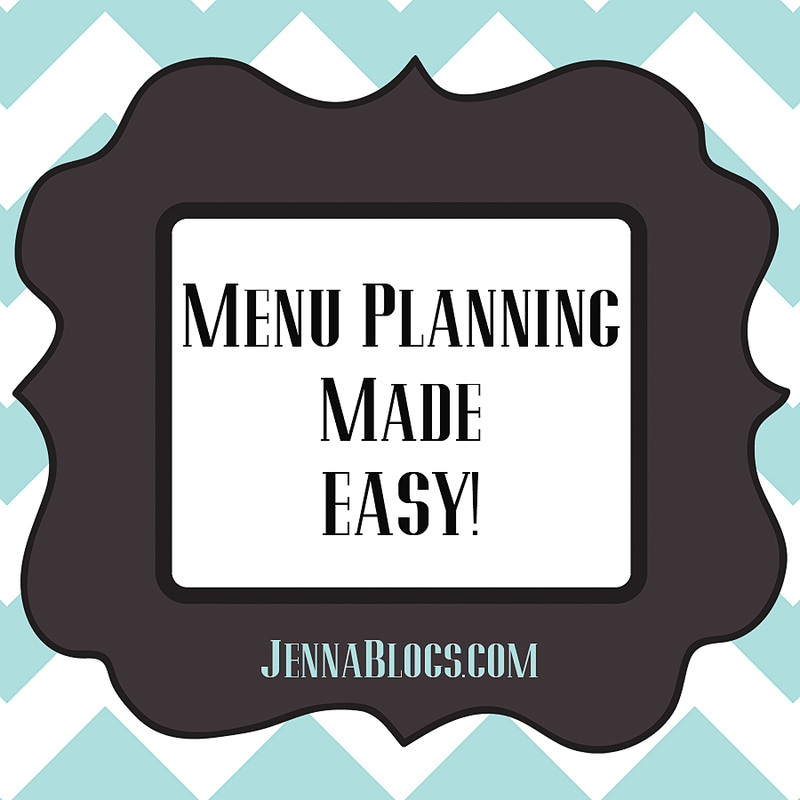 The lazy girls guide to menu planning AKA Menu Planning Made EASY! First, let me say that I am not a menu planning band-wagoner. I'm not even what you might call a true blue menu planner. I am lazy menu planner. Yep. Years ago, when we were first married, I would go to the supermarket, pick out a bunch of stuff that looked yummy or sounded good, get it all home and then have no idea what to make for dinner. 99% of the time, I'd get home without the stuff we actually needed! Usually, I ended up with great snack food or things Chris wouldn't touch with a ten foot pole, but no actual meal material. However, I always had the ingredients for chocolate chip cookies on hand. At all times. Anyway, one day I sat down in front of my Excel spreadsheet and categorized the store I shopped at. When you walk into my store, for example, the first thing you hit is the produce section. Next, deli meats and cheeses. After that, bread. Then general grocery, starting with juices, then breakfast foods, then my personal favorite, the baking aisle...you get the picture. I typed out each of these sections into Excel, then made them big, bold and highlighted. I left several blanks under each. Then, I went through my recipes, picking out 3-5 of them. I like to do this in my kitchen so I can survey what I already have and then fill in my spreadsheet with what I need. Most importantly, in a column to the far right of my grocery list, I write down what I plan on making. Why? Because I can't tell you the number of times that I actually followed my list and then got home and had NO CLUE what I had committed to making. So trust me and write it down! Fill in all of your grocery needs and then save the file. That way, if you lose your list, you will still be able to print another. Also? Because the next time you go to fill it out, you might notice something you need again (milk is a great example) just for everyday stuff, but not necessarily for a recipe. I'm terrible at writing those things down and seeing them from week to week is super helpful. Here's where I think menu planning loses a lot of people. You see these women on morning tv shows talking about how they have an ENTIRE YEARS worth of menus planned. They shop once a month and they are so, overly prepared. But I am, and will never be, her. I plan one week - two at the most - ahead. Why? Because that is doable. I have two small kids. We are building a home. We are selling a home. We are trying to adopt. I have a lot of irons in the fire and planning one-two weeks out is simply all I can do. But, you know what? It's enough! We are organized. We aren't spending lots of money on frivolous grocery store purchases because my purchases are planned out. If you coupon this will really help you out with that as well! I used to, but right now I'm on a couponing break, because I simply don't have the time. So, I hope these tips will help you with menu planning. And for those of you who are intimidated by it, I hope this will show you just how easy it can be! I spend about 30 minutes a week working on it! It's been awhile since I've posted pictures of the home we are building. I thought it was about time for an update! PS - you can see my last update here. Here's a new picture of my window seat. This is in our master bedroom. I have wanted a window seat in my room since I was little bitty. I love, love, LOVE reading and this is just the perfect nook. The front will have bookshelves, but because the seat is so deep, there will also be storage underneath it. I'm so happy with this cabinet - I found a picture of a similar one and our cabinet maker made it. This is for the hall bath downstairs. And our staircase is PERFECT. PS - see the paint swatches in the background? The poor guy at Sherwin Williams had no idea what hit him when I went in there. Nearly 20 samples later, I have picked out colors. One more view of the stairs. Can you tell I love them? They will be a combination of stain and white paint. My kitchen and laundry room cabinets are going in now and our fireplace is almost done. I can't wait to share more pictures soon! We all know I'm a Pinterest addict. I LOVE IT. I use it for everything - from ideas for the house we're building, keeping track of recipes, cleaning and organization ideas, gift ideas...you name it. You can see all of my boards here if you want. Anyway, I was looking through Pinterest for something when I came across this pin for a Reindeer Cam. I decided to let my kids watch it. 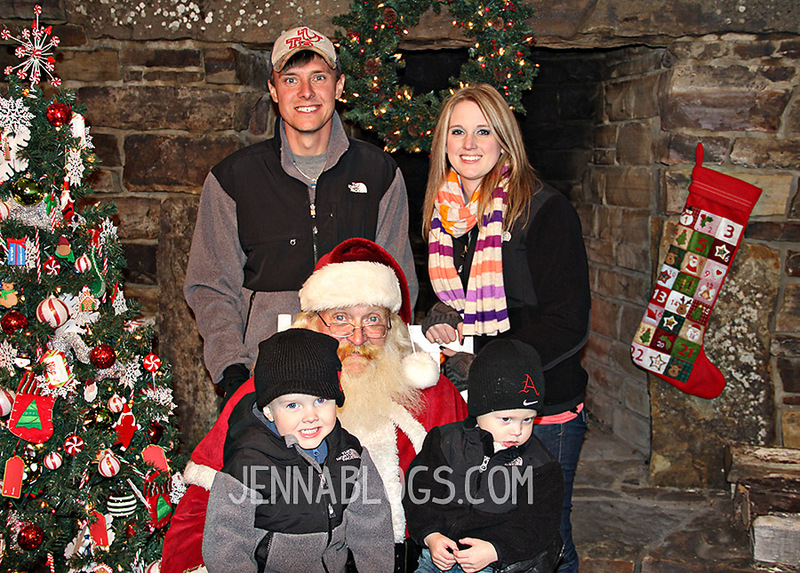 Starting November 16, at 10am, 5pm & 8pm central time, Santa will be coming out to feed the reindeer. The rest of the day you can watch them playing, sleeping and eating. We've decided to name the one with the bigger antlers Comet, and the other one is Blitzen. My boys love watching them! There's also an address on the website where you can send mail to Santa and donate to help feed the reindeer. How fun is that? My kiddo's love it and yours might like it to - you can check it out here. I was overwhelmed (to say the least!) by the response I received last year to my 150 Stocking Stuffers post. Since I posted it, I've received dozen of emails asking me to do it again this year, and I didn't think I could come up with 150 new ideas...but I have! I've tried not to repeat any ideas but if I missed something, I apologize! And for those who submitted ideas, I've included a few of the ones you sent me! I've also included links to a lot of the items I've found, as well as stores that you can check. Most of these ideas are more specific and less generic, so if you're confused about what something is, google it! You can always leave me a comment as well, and I'll do my best to reply quickly! Hopefully that will help you this year with purchasing and finding inspiration for unique gifts! Remember, you can find lots of great deals on gifts. Sites like Zulily, Groopdealz and RueLaLa often offer great designer pieces, kids clothing, toys, accessories etc for half or more off. Be sure to check them daily! Very Jane offers discounted Etsy deals daily as well - I've purchased multiple things from them! Another great tip is to use Swagbucks. Make a free account here and use it as your search engine year-round. You'll randomly win points as you search. You can cash those points in for giftcards - I usually get the $5 Amazon cards. I almost never pay for Kindle books by doing this! I wrote a whole tutorial on how to do this here. Last, but not least, if you do your shopping through Ebates, you earn cash back! It's great! Also, I should mention that these gifts vary in price - from things you can make yourself with stuff you've got on hand to well over $100. Why? Some people do stocking gifts and that's all, so they are willing to spend a lot on those gifts. I've tried to give a wide range of unique ideas as well as price points. I hope you'll find them useful! 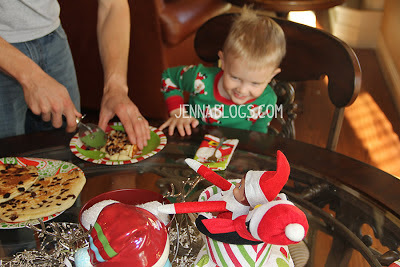 Also, if you do Elf on The Shelf, check out these 25 great ideas for toddlers! So, by popular request, here are 150 NEW Stocking Stuffer Ideas! 21.) Specialty popcorn. Google Uptown Popcorn of Dallas, I've had theirs and it's awesome! 27.) For those who love to host parties, try a napkin ring set! 28.) Batteries for all of the toys/electronics everyone will be getting! 31.) Men's leather cuff with personalized plate. Use a favorite saying or verse. Examples here. 46.) Monogrammed lovie for a baby/infant. Available widely on Etsy. 51.) Personalized superhero cape - they are often on Zulily and you can also find them on Etsy. 57.) This personalized love letter necklace is a great gift from a husband to a wife! 59.) Fun socks - argyle print, leopard etc. 61.) Ball cap - Character, favorite team, favorite brand etc. 66.) Coffee cozy; tons of handmade ones on etsy. Great for the Starbucks addicts! 67.) Safari Coat Hooks - these would be great in a kids room too! 71.) Gift certificate for a massage, facial, microdermabrasion, nail polish etc. 72.) Monogrammed leather football koozie from Pottery Barn - these are actually really nice looking! 73.) The very best truffles in my opinion, via La Maison du Chocolat, available at Williams Sonoma Online. 74.) A great book (examples: Divergent, Pride and Prejudice, The Mortal Instruments, The Hunger Games). 75.) An Amazon.com gift card - you can use it to buy just about anything! 86.) Christmas PJ's - I love the ones that Old Navy sells. They also come in tall & petite. 90.) 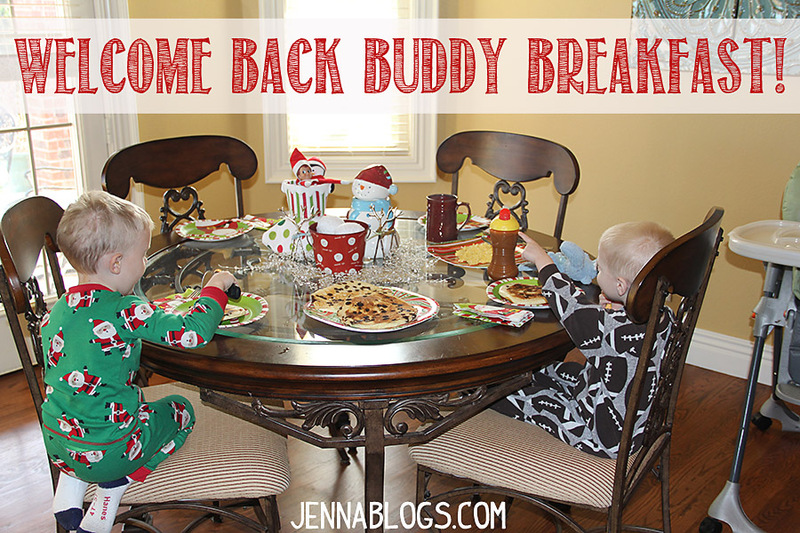 Have you seen those SomeeCards all over Pinterest and Facebook? If you know someone who loves those (they are hilarious! ), try this 365 calendar - a new SomeeCard everyday! 102.) Infinity jewelry - a popular jewelry trend. Search it on Etsy for great, inexpensive pieces. 106.) Know someone who loves to play the guitar? Then get them this Guitar Pick maker. They can make their own picks! 107.) Even though it looks like a Swiss Army knife, it's NOT. It's a flash drive. It just looks cooler. Great for guys! 108.) Herb scissors are a great for any gardener/home cook. Check Cooks Garden. 109.) Personalized placemat for kiddos. Etsy has a lot of really cute ones. 111.) The iShower is a cool device that streams music while you shower - it is also compatible with Androids. 112.) For the kids: Cars AppMate. I bought this for my older son and he is going to love it! I purchased it at Target and I know Toys R Us has it to. It's characters from Cars and they interact with an iPad app. 114.) Reusable market totes, perfect for the farmers market, grocery store and to keep things organized in the car. 117.) Inflatable boot stuffers (holds the shape of your boot when you aren't wearing it). Just Solutions makes some affordable ones. 118.) Know someone who makes a lot of freezer meals? Try a bag holder from Lillian Vernon for them. 121.) iPhone projector - Brookstone.com sells them! 126.) Custom embosser - emboss your recipes, books, envelopes etc! 133.) Turtle wax is great - especially for a new driver! 149.) Wireless fitness tracker (via Brookstone) - great for those who will be making New Years resolutions! It tracks exercise, calories, etc. 150.) A thank you note from Santa for being such a good boy/girl and for the milk and cookies!